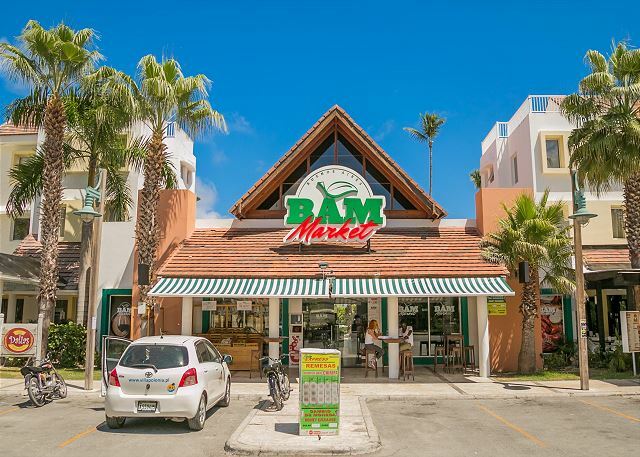 BAM Supermarket - Located ON SITE in PLAZA TURQUESA. 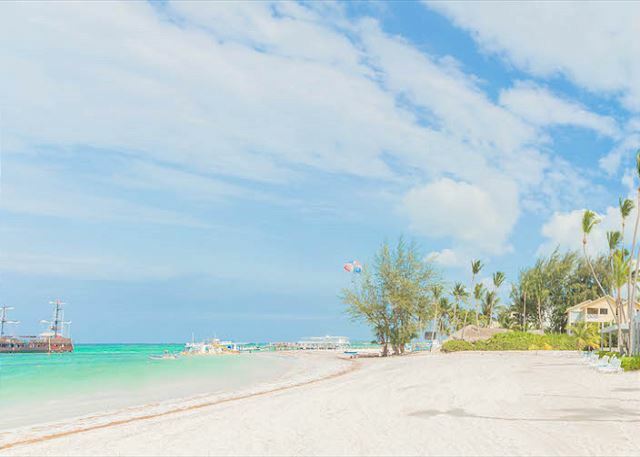 1 minute walk from this condo. 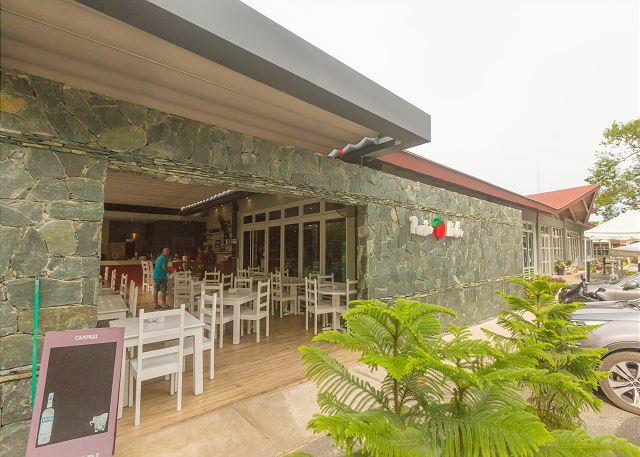 Plaza Turquesa, Plaza El Dorado & Plaza Arenal Caribe - Less than 1 minute walk to Restaurants, Bars, Shopping, Grocery, Pharmacy, Money Exchange, Spa, Gift Shops. 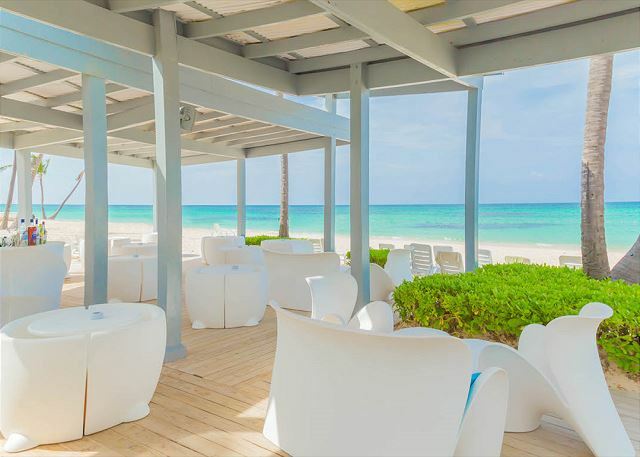 Beachfront Restaurants - One of many restaurants you will find right on the beach. 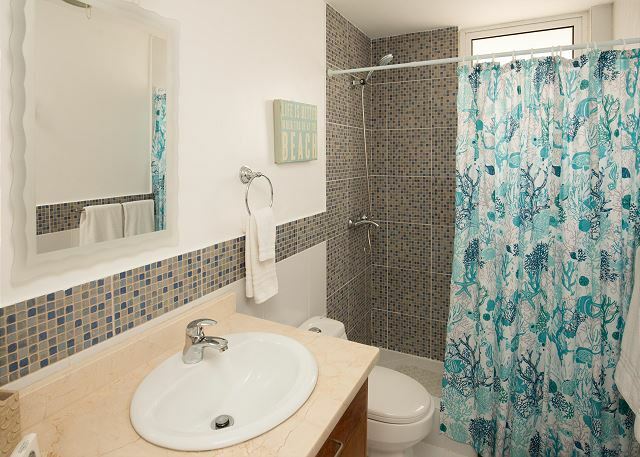 All within walking distance from this condo. Gated community with 24/7 security. 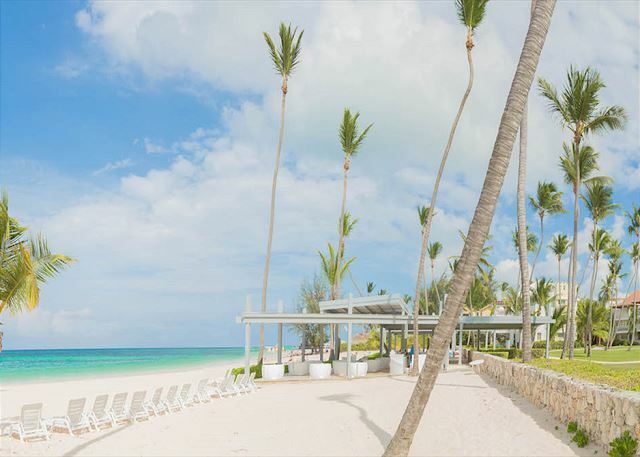 2 large pools, one with a swim-up bar, one with a children's pool. Elevators, reception area, Wifi, cable, Flat Screen TV. 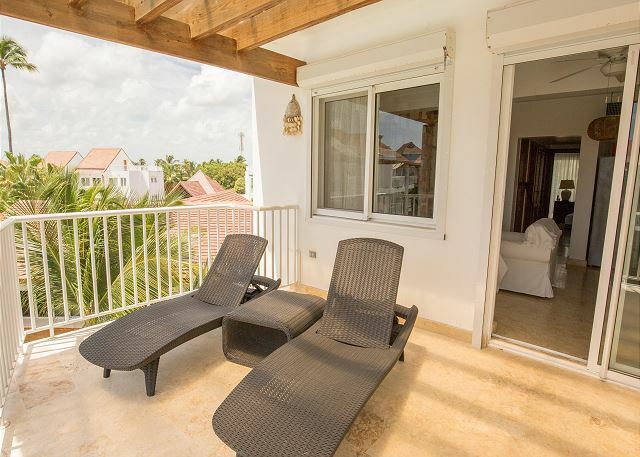 Ideally situated along the El Cortecito strip in the heart of Punta Cana (Bavaro), within short walking distance to everything; internet cafe, restaurants, grocery stores, pharmacy, cash exchange, ATM, bakery, casino, gym and spa. Within a 5 minute drive to the Palma Real Shopping Village. 10 golf courses within a 5 to 30 minute drive. 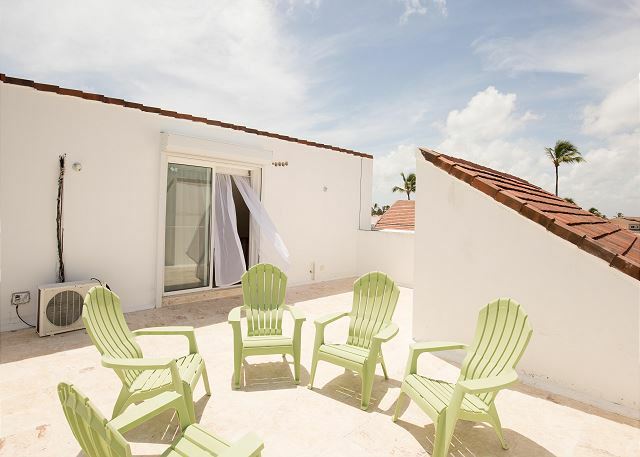 This vacation condo is located in building 'A' of Playa Turquesa, which while being within the community is only steps from the beautiful white sandy beaches of the Dominican Republic. 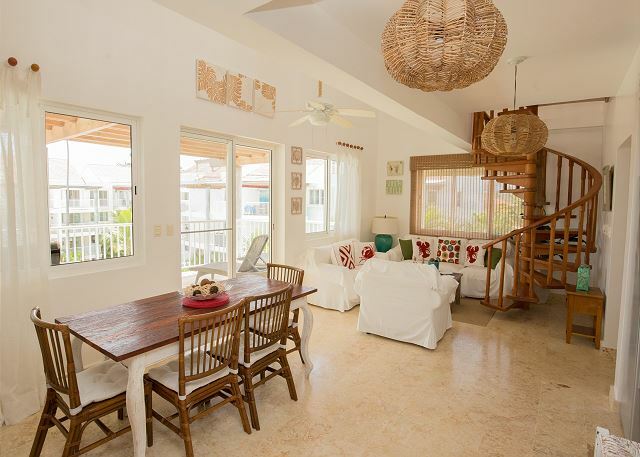 Once inside this condo, you'll be treated by the wonderful decor and appointments reminiscent of that 'picture perfect' tropical getaway. 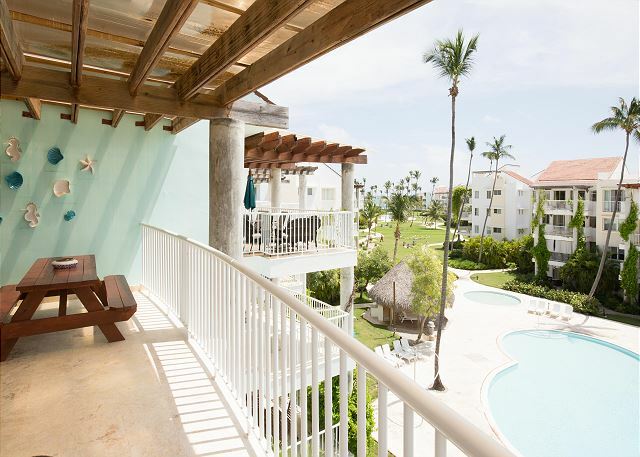 This is a two bedroom penthouse condo offering accommodations for the whole family. 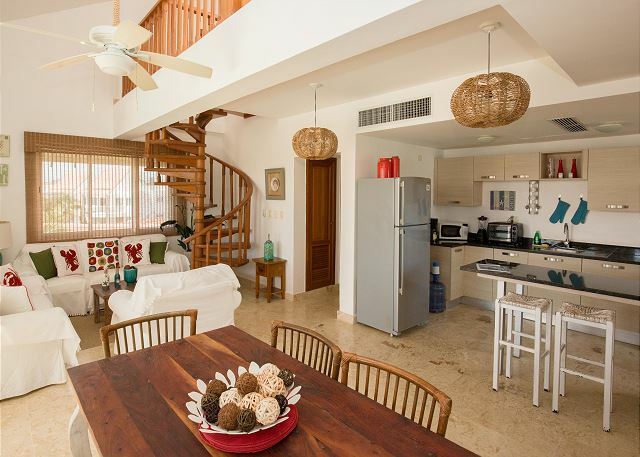 Everything you need for your vacation and more can be found within this luxurious condo. 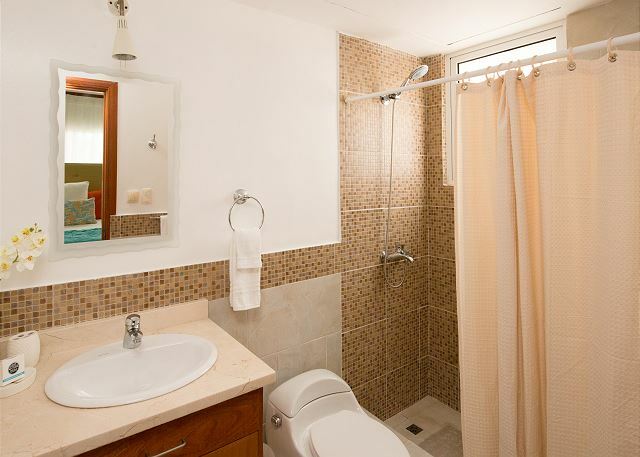 The master bedroom is en-suite, with its very own private bathroom, and there is an additional full bathroom off the kitchen adjacent to the laundry area. 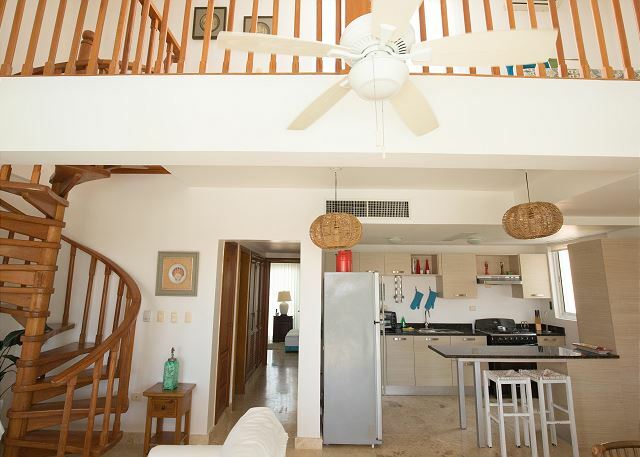 All Playa Turquesa condos offer elevator access and a reverse-osmosis water filtration system. 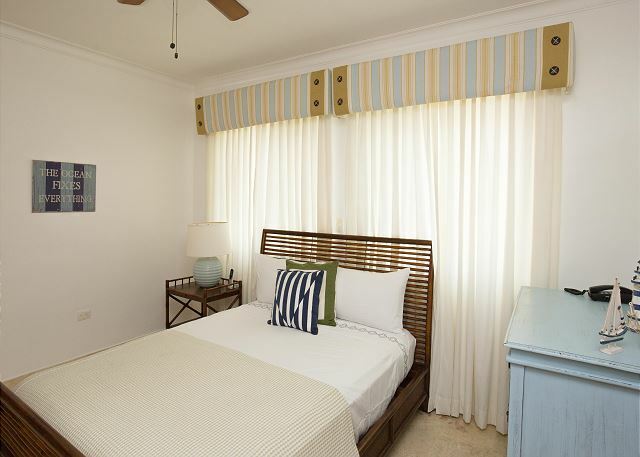 Each unit comes equipped with multi-zone central air conditioning and dual-pane windows. 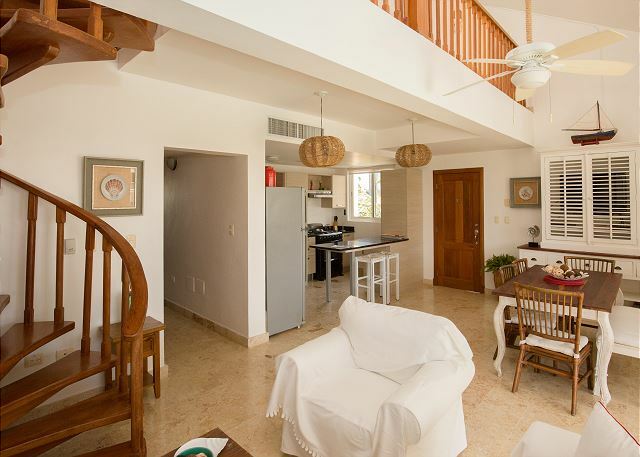 • Normal consumption is $5-10 per day for a 1 & 2 bedroom, $10-$15 per day for a 3 & 4 bedroom and $25-$30 for Villas in Cocotal Golf. Management was very accommodating. 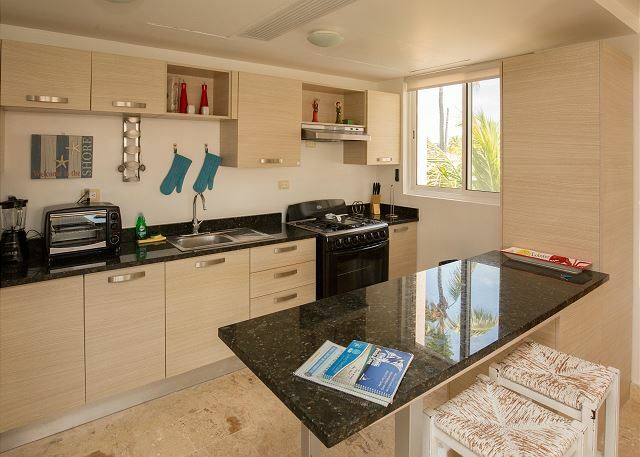 WE enjoyed cooking in the unit - it has all the cooking equipment you need as well as walking to Kat's Corner, Citrus, Wacamole, and the Playa Turquesa beach cafe has the best crispy tostones ever! Great location and near all amenaties. 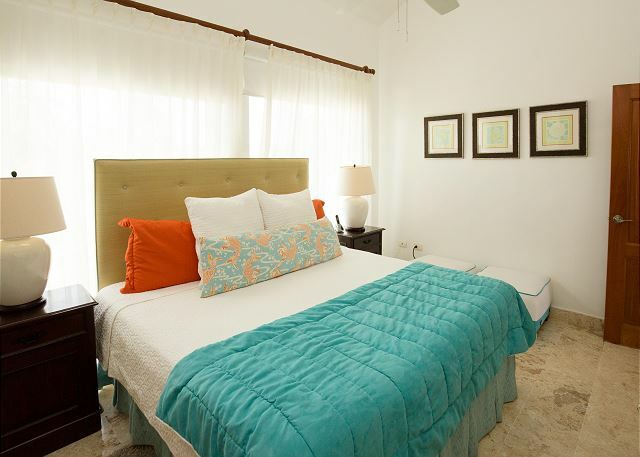 Two great pools and two minute walk to beach. Staff were very friendly and dealt with any issue promptly. A bit noisy at night due to resorts close by however usually done by 11pm. Suggest owner purchase table and chairs instead of picnic table on outside deck. Would be more comfortable to sit outside. Overall, would return for another stay. Is our second time. We love the property and the units. 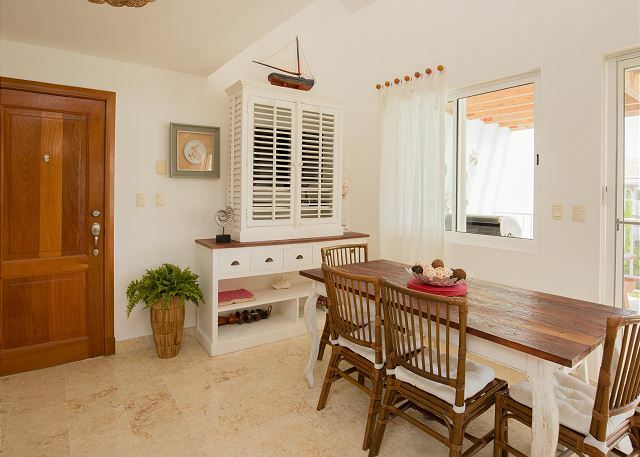 The beach is amazing and the property have an excellent location with a mini market, restaurants and convenience stores. 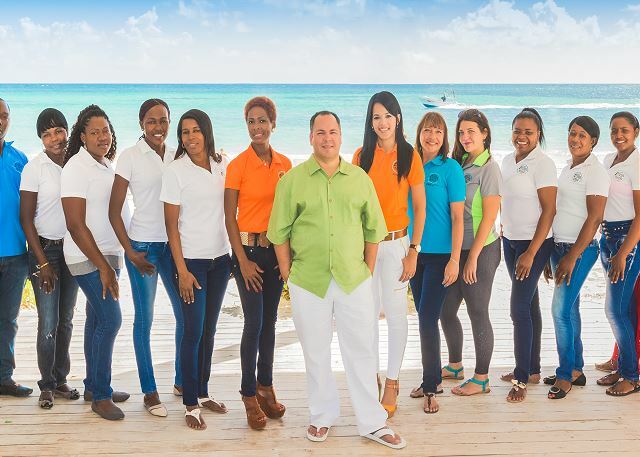 The staff of playa turquesa and go punta cana was super friendly and helpful. Muchas gracias por sus comentarios. Para aclarar su pregunta de deposito de electricidad - al momento de reservar el portal utilizado le cobro $200 por deposito de energía eléctrica. Su consumo fue de $77 + 4% de procesamiento de pago = $80.08. A la tarjeta de credito de su esposo, termina en 2386, se le hizo una devolución de $119.82 el 28 de Enero 2017. Por favor verifique su estado de cuentas. Cualquier otra pregunta, estamos a la orden. Gracias! Condo was perfect size and very comfortable we really enjoyed our stay. Look forward to next time. Exactly as expected. Not fancy, but very adequate and can't beat the price. The condo was more than we could have asked for. It was beautiful and close to the pool, nearby shops and the beach. We felt safe and secure. 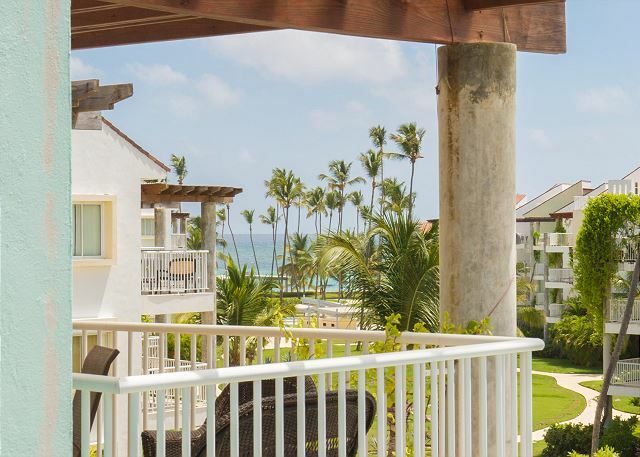 Carla, Anny and Blanka were all very helpful from the Go Punta Cana Real Estate Team! 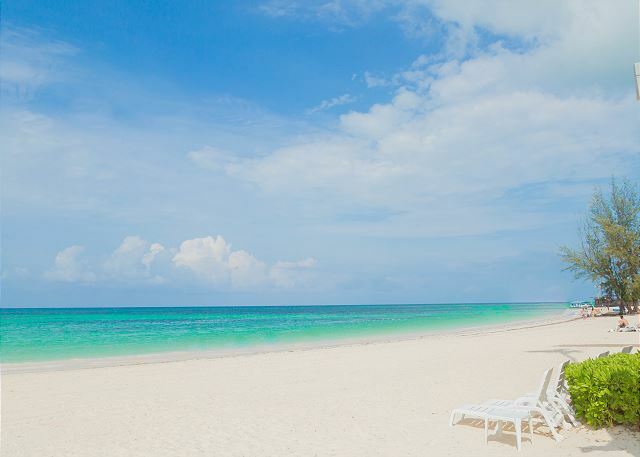 We will definitely consider coming back to Playa Turquesa should we return to the DR! We (2 seniors, 1 adult and 1 toddler) stayed at Playa Turquesa for a week in May 2015; it was a fantastic time. As we were staying on the fourth floor of the building, the elevator was indispensable. 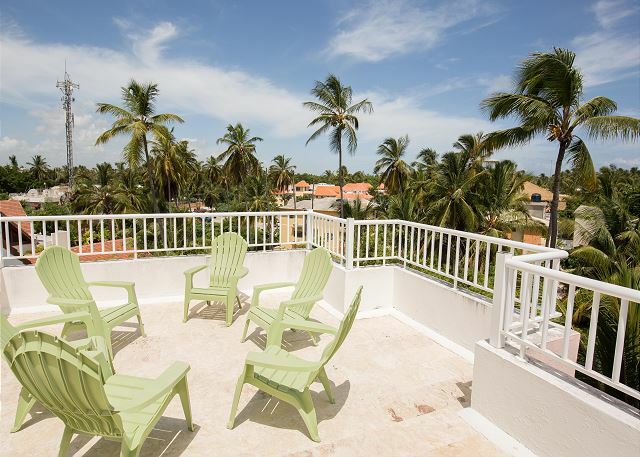 We appreciated the beautiful views off the balcony, the proximity to stores and restaurants, the nearby pool, and the fact that you could walk to the beach without having to cross any roads! 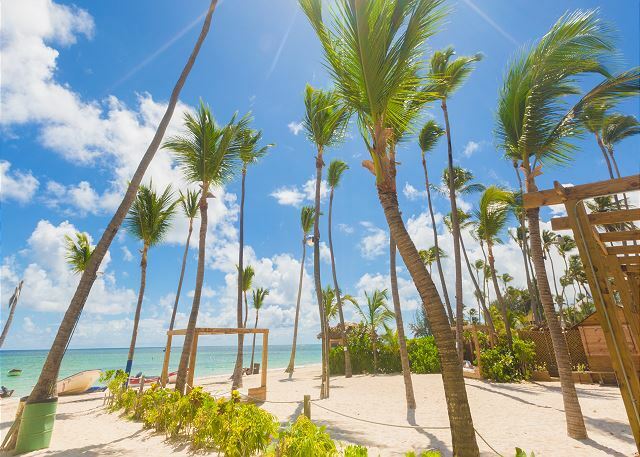 Go Punta Cana was also very responsive to all of our needs. There were some fairly minor maintenance issues (broken blinds and a screen door off it's track) which were fixed promptly upon report. Next time we would likely spend a little bit more money to get a property at Turquesa even closer to the beach. The breeze was quite nice where we were, but the temperature was even more pleasant the closer you got to the beach. 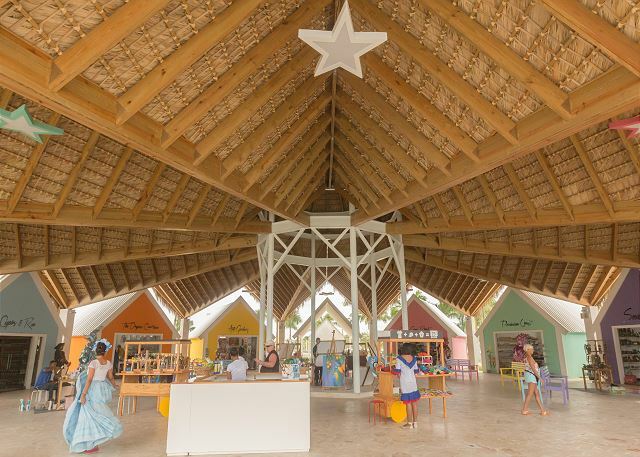 Turquesa and Go Punta Cana have many building options of varying distance from the beach, stores, etc. 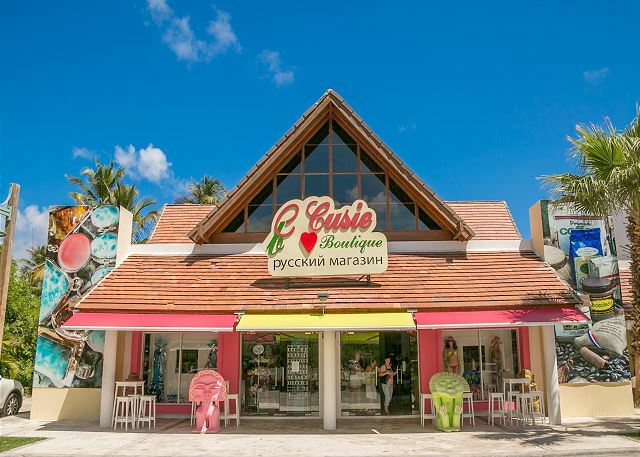 A building, while not as close to the beach, was as close as you could get to the grocery store, fruit stand, bakery and restaurants. You win some, you lose some! Great time! Would definitely return again! We will be back next year, Lord willing. Loved this place, Playa Turquesa! 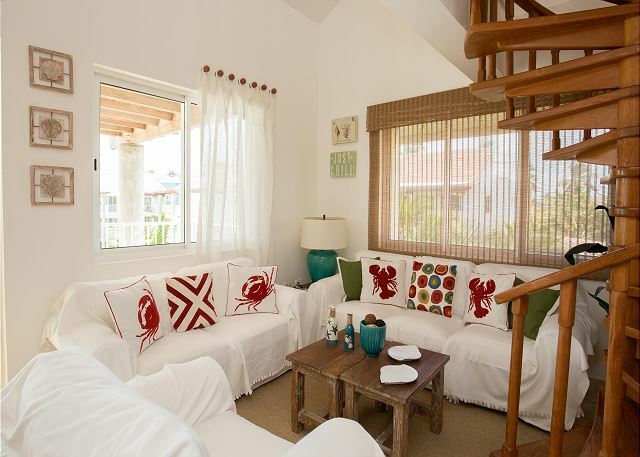 The property is perfect, location great and most of the other guest are very friendly. The unit A401 was lovely. It had just about everything you could or would need, except a potato peeler and rubber spatula. And I mean everything, those are the only two items that I needed. There was plenty of utensils, towels, sheets, you name it and the apartment had it. 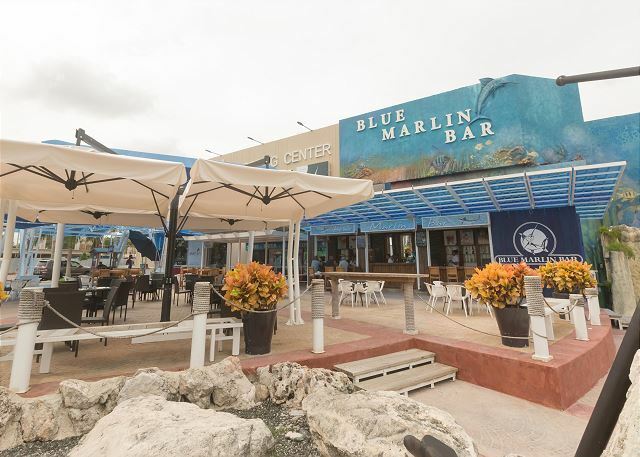 We loved the location near both groceries stores, restaurant row, night life, pizza, produce market,liquor warehouse. One of the best parts was we met Christian(a Romanian guy)and Rocio on the beach, they have a tour boat, great trip, they were able to get us fresh fish when ever we wanted and had it delivered. This was our third trip to Turquesa and we plan to return. Next time I will look for a place there that does not charge a booking fee. There are, I think, 200 apartments and different people handle some units, so there is not a set billing for all units. You can't beat the weather 85 and sunny. If you go there look for Ray and Carol,they are from Michigan and now live at Turquesa permanently. They can tell you anything you want to know about the area. Great people. We rented this condo for 4 weeks beginning in January 2015 and were delighted. 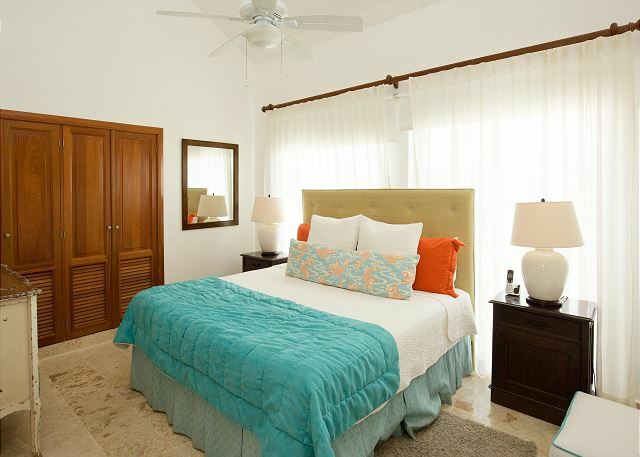 All the pre-arrival payments and information went smoothly courtesy of Scott of Go Punta Cana Realty. As arranged, we were met at the airport and our driver, Felix, took us to a very large well stocked supermarket. Then we were off to the condo where we were promptly met by Anny for check-in. The condo was clean, comfortable, and well stocked with linens, cooking implements, dishes and glassware and we lacked for nothing including Scrabble, Monopoly, boogie boards, DVD player and satellite TV. Wi-Fi was provided as well as local telephone service. There are also screens on the doors and windows. We were comfortable with the breeze and ceiling fans and didn't have to use the air conditioning. The washer and dryer work well. As we got organized we noted that there were three small things that needed repair. We notified Anny by email and those repairs were accomplished the following day. 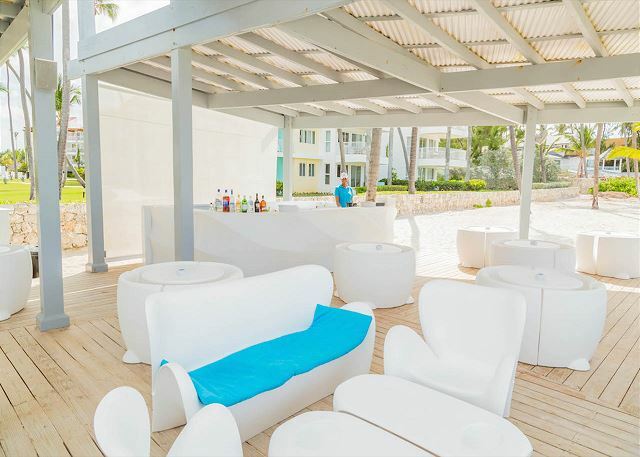 The Playa Turquesa Ocean Club is wonderfully located and you will not need a car. 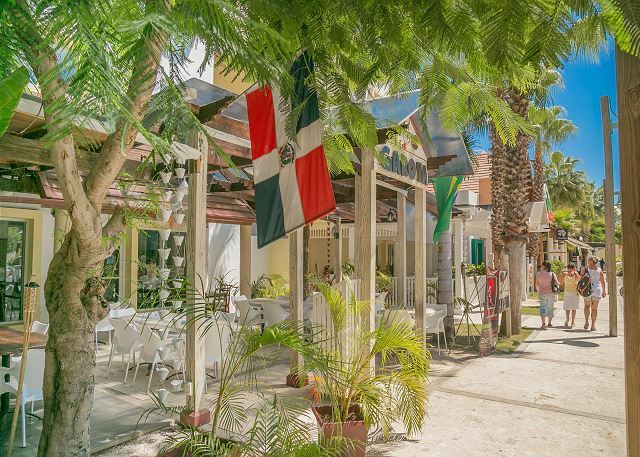 It is a gated secure well maintained complex directly on the beach it is within a very easy stroll to 3 small markets, a bakery, a fruit stand, and several restaurants that are all highly rated. 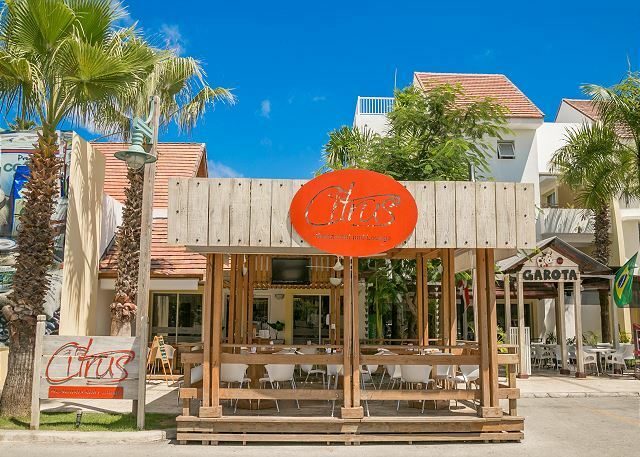 We had wonderful meals at Citrus, La Posada de Gladys, Pastrata, Nam Nam, Balicana, and Dalia's. There is local bus service, Traumabapu is the bus name, and it will take you to the Palma Real or San Juan shopping plaza for 30 pesos per person. There are no assigned bus stops,you just flag it down and then just ask the driver or the fare taker to let you off where you want to go. Take a taxi back if you have a lot of heavy parcels. We stayed in the penthouse! We were in Punta Cana for 9 days. It was beautiful. 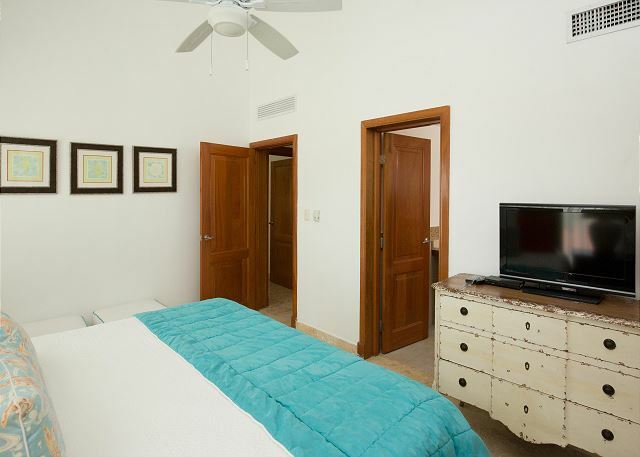 The rooms were spacious and had both a fan and an in room air conditioner in the main room and both bedrooms. There were plenty of items to keep you occupied in the place including books, games, tv and DVD player. They even provided maps of the area. 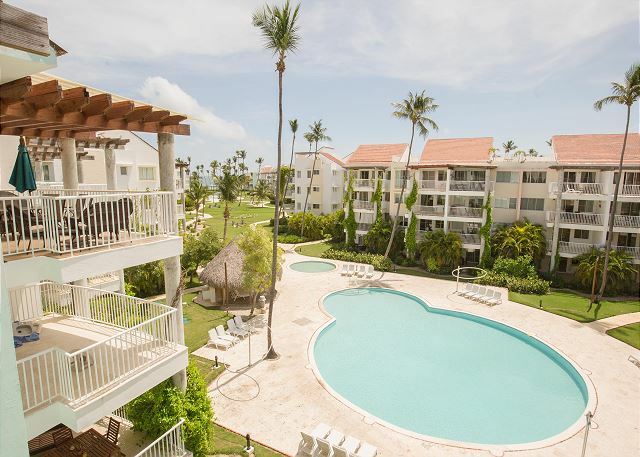 The condo has 2 saltwater pools and beachfront access. One of the pools had a swim up bar. Get the Playa Turquesa as it is delicious. There is a restaurant that delivers to the beach area for lunch. 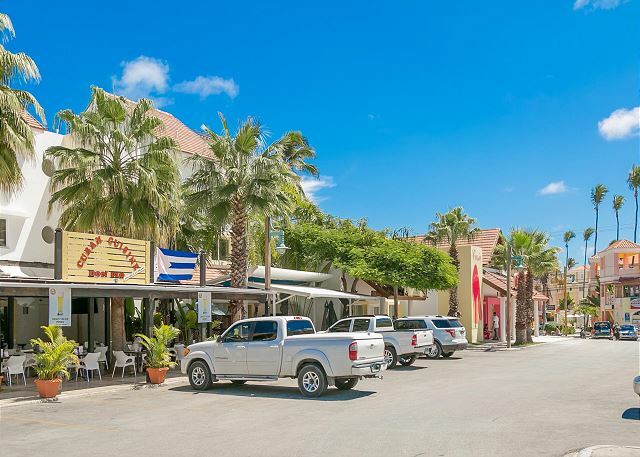 The condo is surrounded by 3 markets and several restaurants and shops. I absolutely love the French bakery across the street. They have amazing sweet and savory goods. Don't eat at Danny's, as your digestive system may hate you for it. Great stay. The front desk ladies were super nice as well as the groundskeepers and security.